The foam board has a unique design providing a tongue and groove assembly system. This four-sided interlocking system helps in the wall assembly whereby the units fit in place like Lego System. This helps save on construction time and reduce labour cost by almost the half. 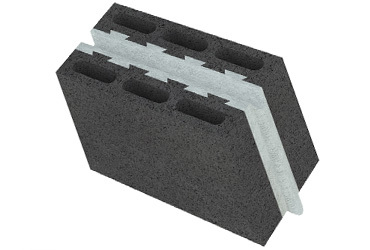 These Thermal Insulated interlocking blocks can be assembled and connected in a better way, to construct insulated walls. NGM’s Thermally Insulated Blocks offers a wide range of heavy duty, strong and durable blocks, resilient to pressures of up to 13 MPA; the result of a well-balanced, scientifically studied concrete/aggregate ratio mixture of the highest calibre. Another advantage of the unique design of NGM TIB is its ability to prevent water leakage seeping in between the block joints. 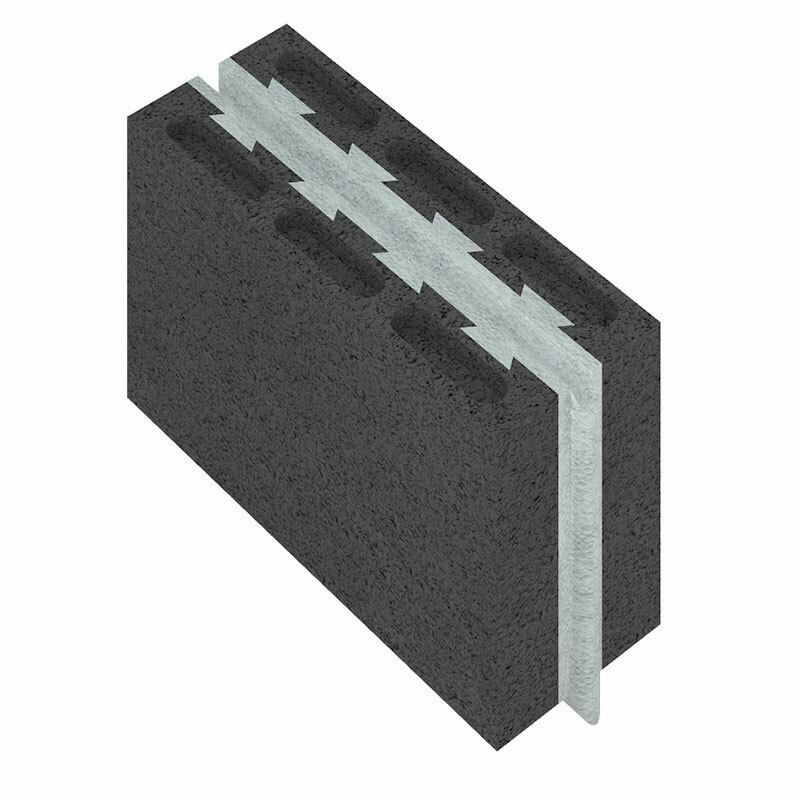 The tongue and groove system stops any water from penetrating to the second layer of the block. Building with the thermally insulated blocks with a built-in insulation layer increases the thermal comfort by reducing heat transfer through external walls and consequently reducing the buildings running cost for heating & cooling. Another advantage of the unique design of NGM TIB is its ability to prevent sound insulation. Inside the dual wall cavity there will be an air space separating each wall in addition to the foam board, this will reduce greatly the sound passing through walls. The EPS insulation used in NGM TIHB is extremely green composed of organic elements like carbon, hydrogen, and oxygen rendering it CFC and HCFC free. Due to its green characteristics, in 2017 NGM Blocks will be working to approve its unique blocks at The “National Energy Efficiency and Renewable Energy Action” (NEEREA) were to add LEED points to construction projects. NEEREA is a green financing mechanism that provides interest-free long-term loans to residential, commercial, non-profit and industrial users for all energy efficiency and renewable energy projects for new and existing facilities. The loan is eligible for new environmental friendly projects or for existing projects to enhance their conditions to become environmentally sound. The loan has a ceiling of 20 million USD and is offered at an interest rate of 0.6% for period that should not exceed 14 years including a grace period of 6 months to 4 years. The green loans are provided through all the Lebanese commercial banks to directly reach the end user. 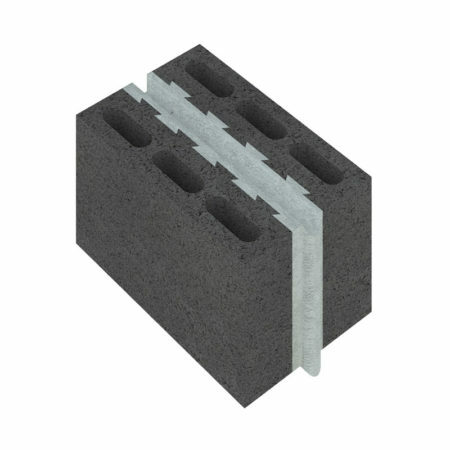 All of NGM’s Blocks products are tested and proofed as excellent retardant of fire this is deepened on the size of the block and vary between two to four hours retardance. The blocks are available in a standard face size of 40 x 20 cm and in Width of 16cm, 20cm, 22cm, 25cm and 30cm in a standard finish (also suitable for rendering). Also the blocks are available in a thermally insulated hollow block design, thermally insulated semi solid design, and in a thermally insulated fully solid proposal (also suitable for rendering). All NGM Blocks products, have been extensively tested and proven to conform to the relevant Lebanese and International Standard(s), where they exist. This is your assurance that they are both safe to use and fit for purpose. Should you have any additional questions regarding these technical specifications for any of our products, please contact the NGM Blocks Technical Services Department by e-mailing us on info@ngmblocks.com or by calling +961 76 710 610 or +961 76 710 510.